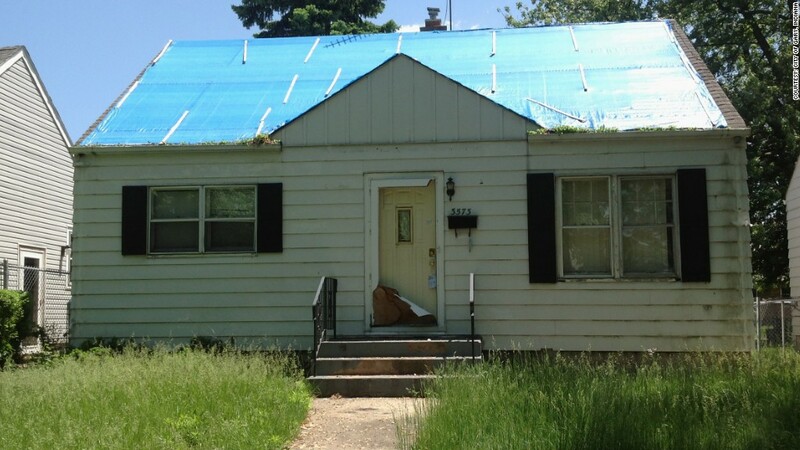 The city of Gary, Ind., is running a real estate fire sale: A dozen homes for $1 each. The catch: "They need work," said Gary's mayor, Karen Freeman-Wilson. "It's up to the homeowners to provide the sweat equity." The city bought the homes at county tax sales after owners fell behind on property taxes, and the sale is part of a neighborhood stabilization effort underway in the University Park section. The program was announced in June and quickly drew interest from more than 400 potential buyers. Few of them, however, met all the minimum requirements: Buyers must have lived in Gary for at least six months; have $1,000 in savings; earn at least 80% of the median annual income of $35,250 in the area; and demonstrate that they have the financial ability to rehabilitate the home. The program is open only to those who do not currently own a home, and they must occupy the house for five years before they assume full ownership. If they leave before that, they forfeit everything. Those restrictions reduced the number of finalists to 25. In September, 12 will be chosen by random drawing, and each will get a home. Eventually, if the program works well, Freeman-Wilson would like to sell 50 homes a year. The neighborhood stabilization initiative also includes financial assistance for current homeowners whose houses need repairs, and selling several houses the city has already fixed up for just under $60,000 each. The plan, according to Arlene Colvin, head of the city's Department of Community Development, is to halt a gradual decline in the neighborhood. Freeman-Wilson, 52, hopes that buyers will have the same kind of experience she had more than 20 years ago, when she bought her first house in Gary for a dollar under a U.S. Housing and Urban Development program. As a deputy prosecutor, not long out of Harvard Law School, she spent $15,000 to $20,000 to renovate her two bedroom house. By keeping her housing costs low, she was able to free up time to take advantage of opportunities that eventually landed her in the mayor's office. "I was able to go out on my own and forge a life in the community," she said. "That participation made me more committed to Gary." There are a lot of blighted areas in Gary, which has gone through decades of decline since its decades as a manufacturing heavyweight. The city was founded in 1906 by the United States Steel Corporation and named for the company's chairman, Elbert Henry Gary. Gary's population has plummeted by more than half since 1960. Felicia Goodman, born and raised in Gary, is one of the finalists. The customer service rep for Southwest Airlines currently lives in an apartment about 20 minutes from University Park. If Goodman wins the draw, she'll pay contractors to do the plumbing, electricity and other serious repairs while she and a brother do some of the cosmetic work, like painting and finishing. She's very excited about the opportunity. "I love it over there," she said. "It's beautiful and there are some very nice houses in the neighborhood."